On its 4th year, the Yahoo Celebrity Awards 2014 was launched by Yahoo Philippines and unveiled the nominees for this year. The Yahoo Celebrity Awards (formerly OMG! Awards) honors Philippines’ celebrities from the fields of movies, music, radio and television, who are voted into the top ranks by their fans from across the world. This recognition is very popular in the country because it's uniquely “Powered by You” - as fans have the exclusive power to vote their favorite stars in. The launch was held at Amber Ultralounge at The Fort in Taguig City. This year, the Yahoo Celebrity Awards includes 140 nominees across 28 categories – with ten (10) new categories added especially given the emerging trends in the entertainment industry. 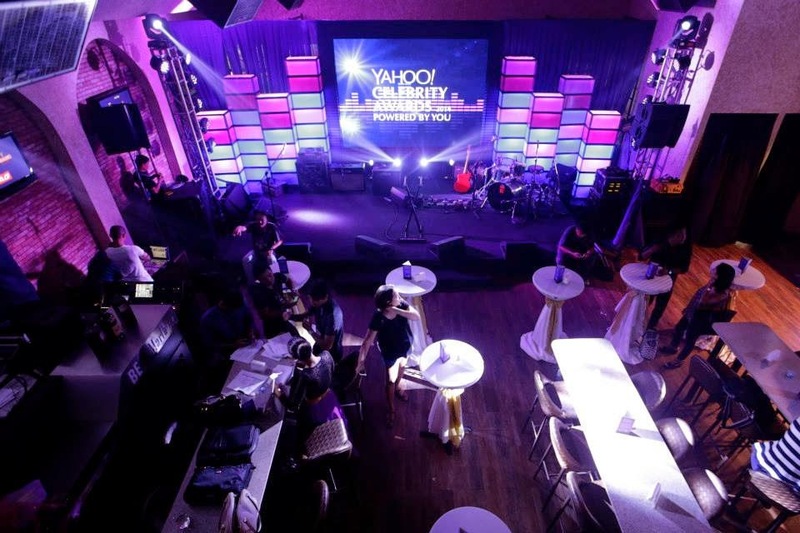 The event gives users a chance to vote for their favorite stars on Yahoo Celebrity and see them up-close and personal during a star-studded, glamorous evening. The ten (10) new exciting categories are: Celebrity Couple, Celebrity Family, Male and Female Hothletes, Band of the Year, Male and Female ‘Kontrabida,’ Emerging Band, Song of the Year and Social Media Star. Everyone is encouraged to vote for their favorite stars in different categories. You may be wondering why some artists are in the list. It is primarily because those artists ranked high in terms of people searching for them online, thus being popular. Fans can also request for performances by their favorite stars at the gala awards ceremony that will take place on July 18, 2014 at SM Mall of Asia Arena. Check out the complete list of 140 nominees in 28 categories. Yahoo encourages all fans to vote for their favorite celebrities at yahoo.com.ph/celebrityawards. Voting opens now until July 12, 2014. You can also check out https://apps.facebook.com/yahoocelebrityawards. What makes the Yahoo Celebrity Awards even more special this year is the new Yahoo-On-the-Road bus, which will be touring schools showcasing nominees of the Band of the Year and Emerging Band categories. The bus is fully geared for fans to engage with the bands, cast their votes and request performances. 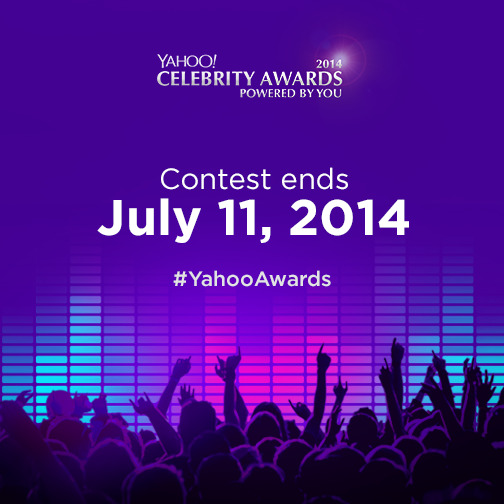 Yahoo Celebrity Awards rolls out the purple carpet for you on July 18 at Mall of Asia Arena. Grab your free tickets at SM Tickets. The Yahoo Celebrity Awards is supported by leading brands in Philippines, including McDonald’s, KakaoTalk, PLDT HOME Bro Ultera, JAG Jeans and Emperador Light.